This is a promotion you will love! Until 17/02/2019 you can enjoy 30% off on all the lists purchased online or by quote. Bancomail is one of the largest database for Email Marketing. With more than 8.000.000 companies worldwide, we provide up to date, quality corporate registries with email addresses included. Our data are contractually guaranteed and collected from authorized sources. Yes, Bancomail Databases complies with the General Data Protection Regulation and the National Laws and can be used for Direct Marketing purposes. 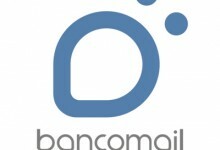 Bancomail is one of the largest database for email marketing. With more than 8.000.000 companies worldwide, we provide up to date, quality corporate registries with email addresses included. Our data are collected from authorized sources in compliance with privacy legislations and we contractually guarantee the deliverability of our lists.